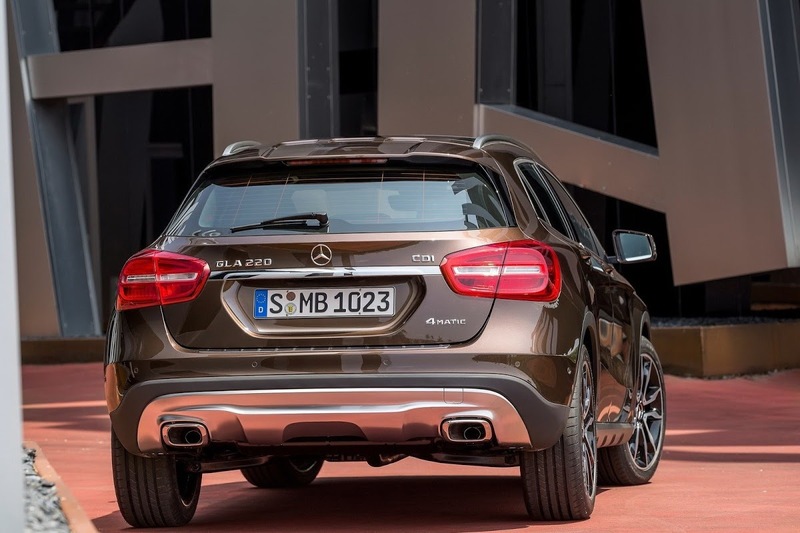 I really don’t get why Mercedes-Benz is pushing forth the idea that huge rear light clusters are the way to go when it comes to designing a compact car. 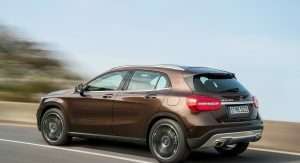 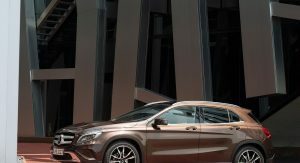 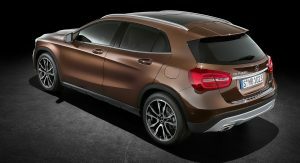 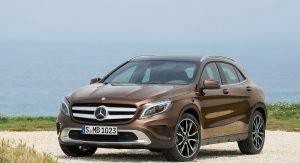 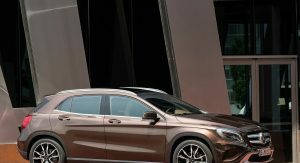 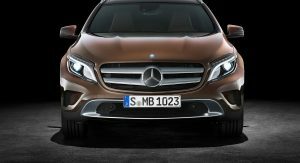 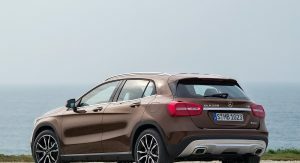 They’ve done it with the A-Class and CLA, and now, by the looks of it from the first photos that have been revealed, the GLA crossover suffers from the same. 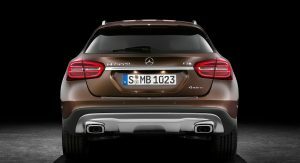 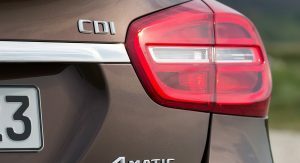 Even worse, its rear lights are quite round and shapeless, and even less successful than those of the two aforementioned models – oh, and yes, the long awaited small crossover from the Three Pointed Star has just been revealed, giving us free reign to comment on its funky and youthful design. 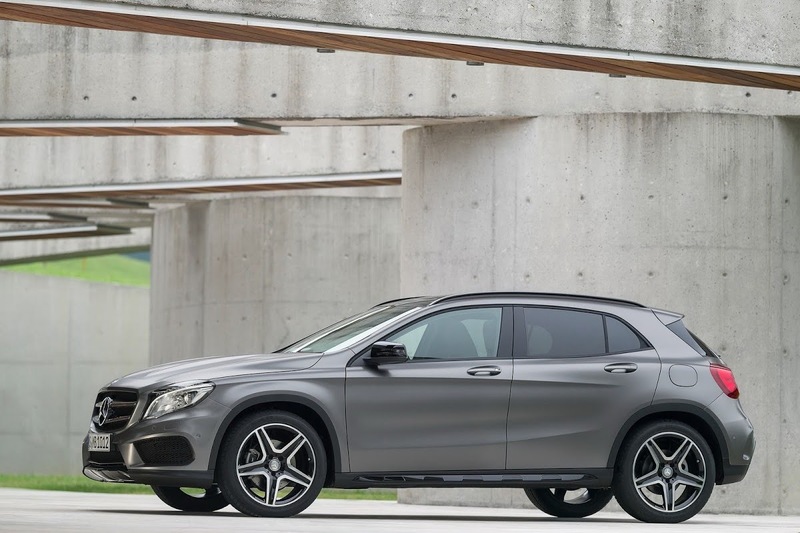 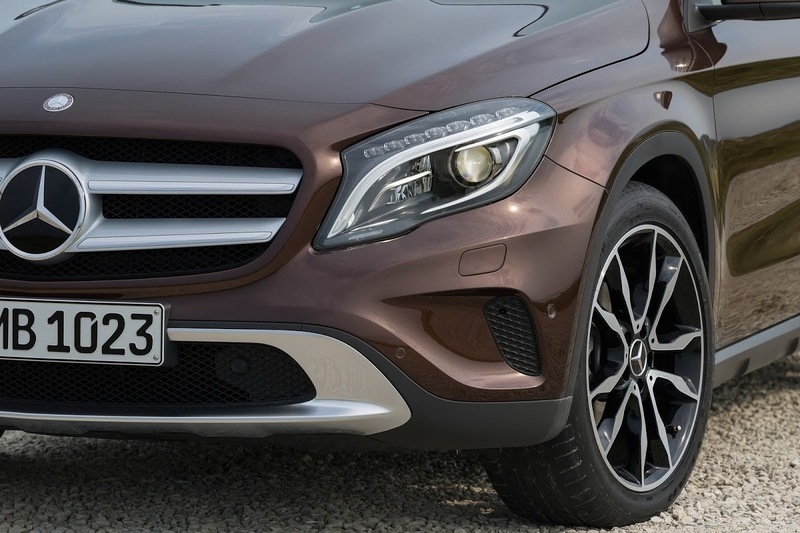 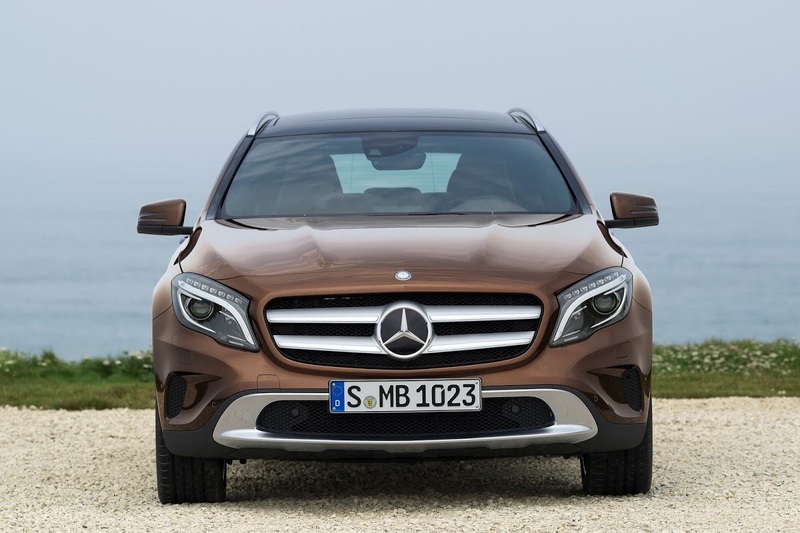 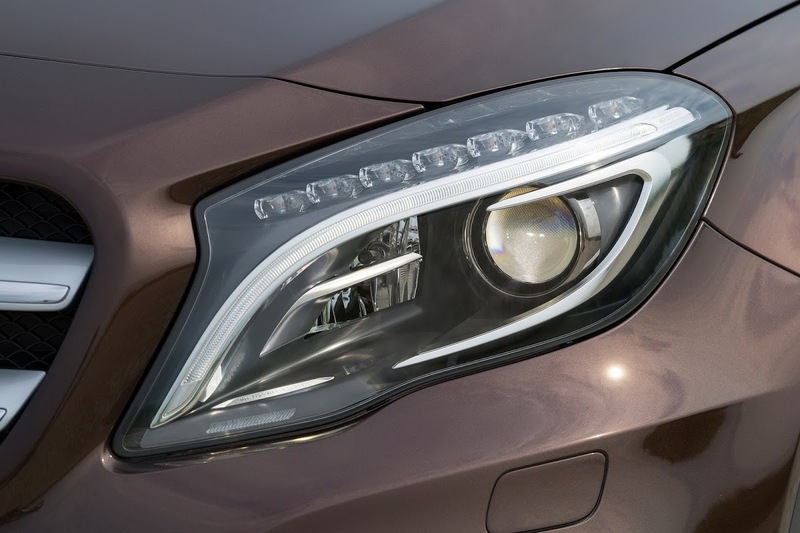 The front of the GLA is much better than the back, though, primarily because the lights are much smaller in relation to the rest of the car, with the prominent grille sitting nicely in between them, bulging outward in an attempt to exude muscularity. 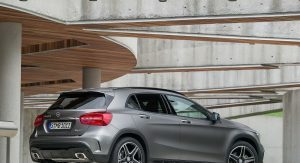 The overall shape and particularly the side profile, betray its A-Class roots, and so does the interior that seems to have been lifted straight from the hatch and placed in this slightly higher vehicle. 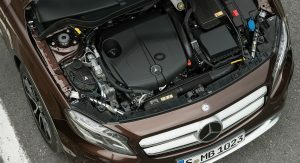 The engine range will be limited at first to four units: two petrols and two diesels. 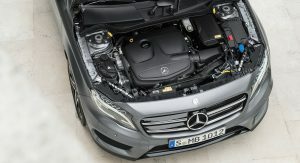 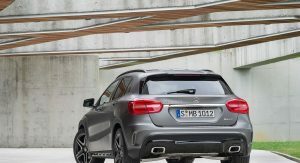 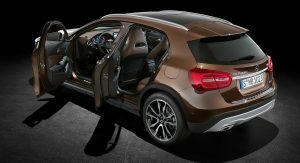 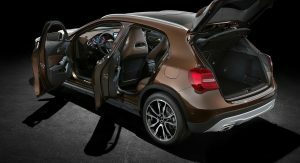 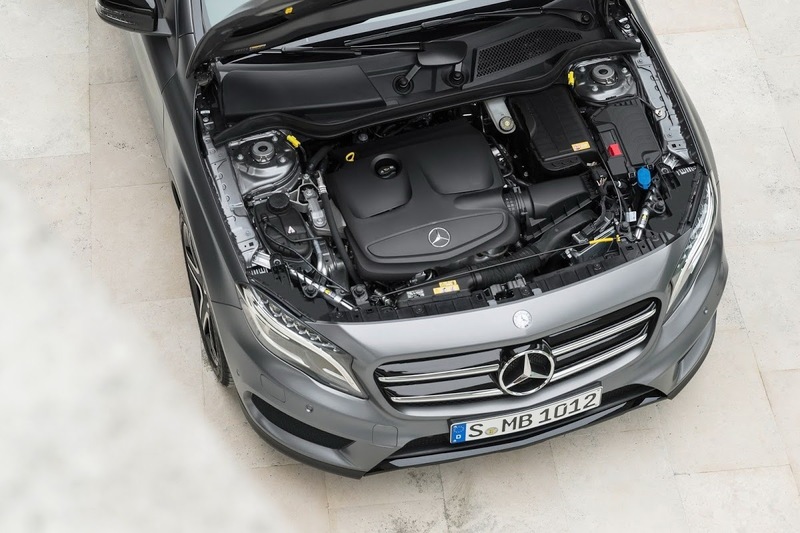 Those who enjoy higher-revving motors and don’t necessarily care about maximum efficiency will most likely enjoy the 1.6- and 2.0-liter turbocharged units fitted under the bonnet of the GLA 200 and GLA 250. 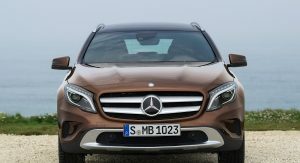 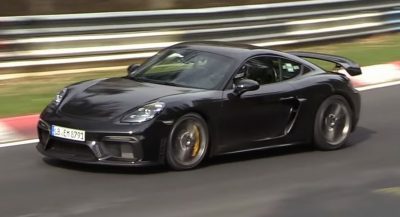 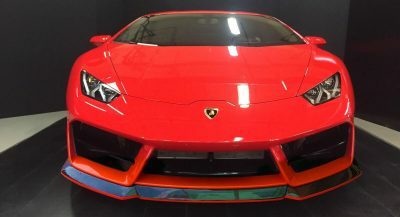 These variants make 155 hp and 208 hp respectively. 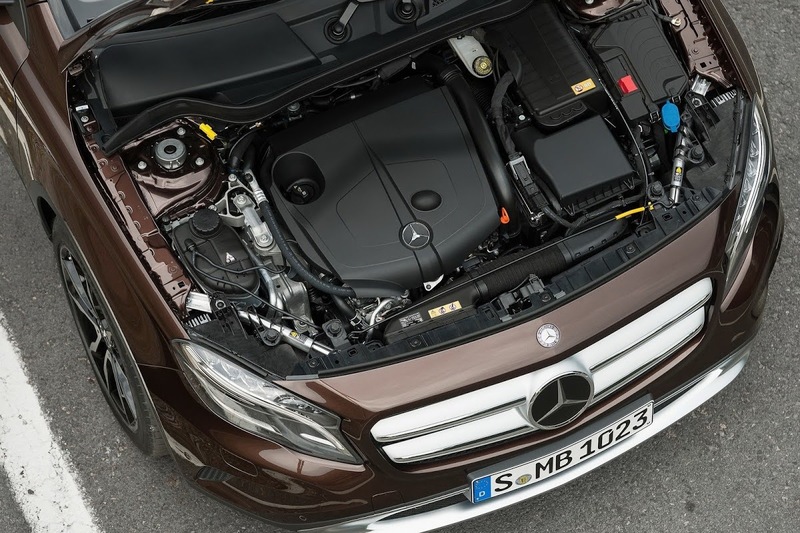 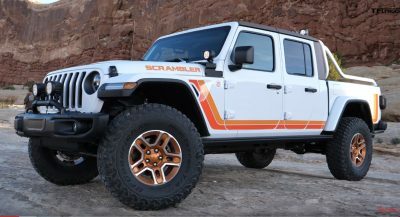 For diesel-lovers, there are two variants of the same engine available, displacing 2.2-liters. 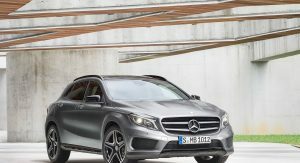 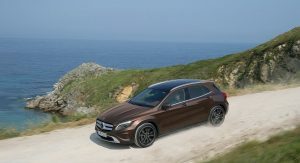 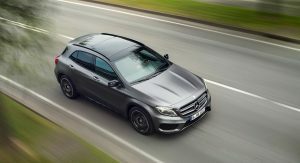 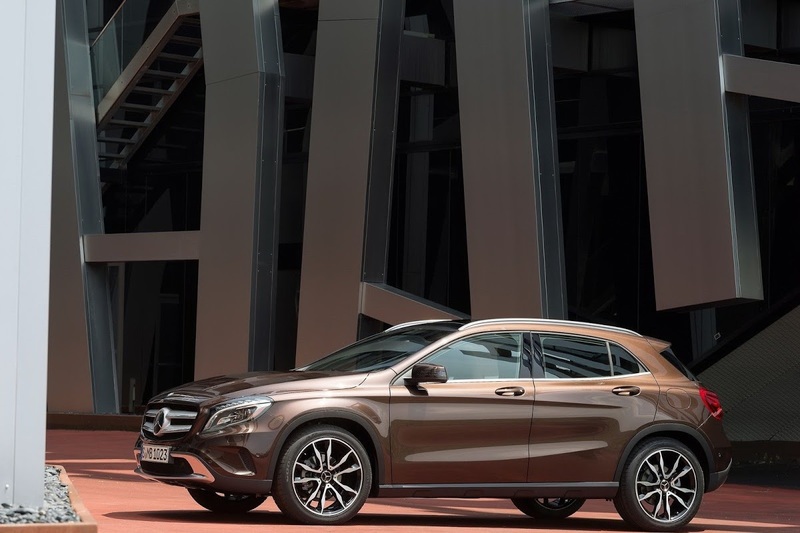 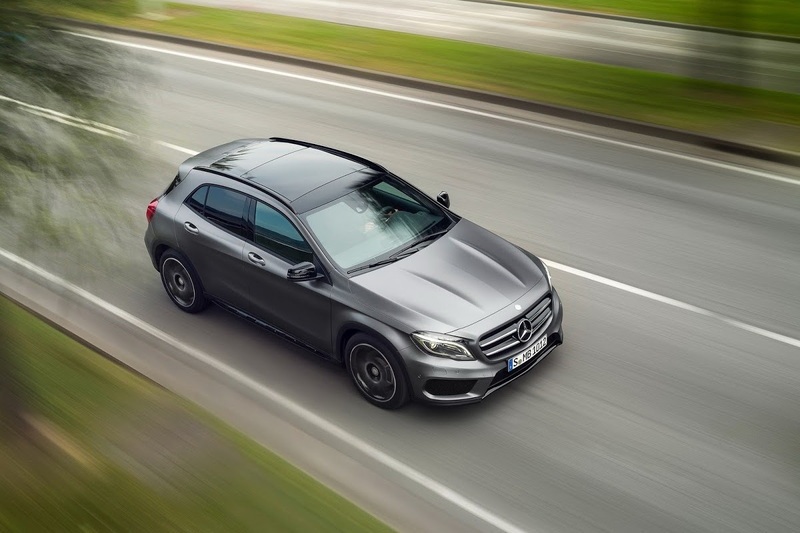 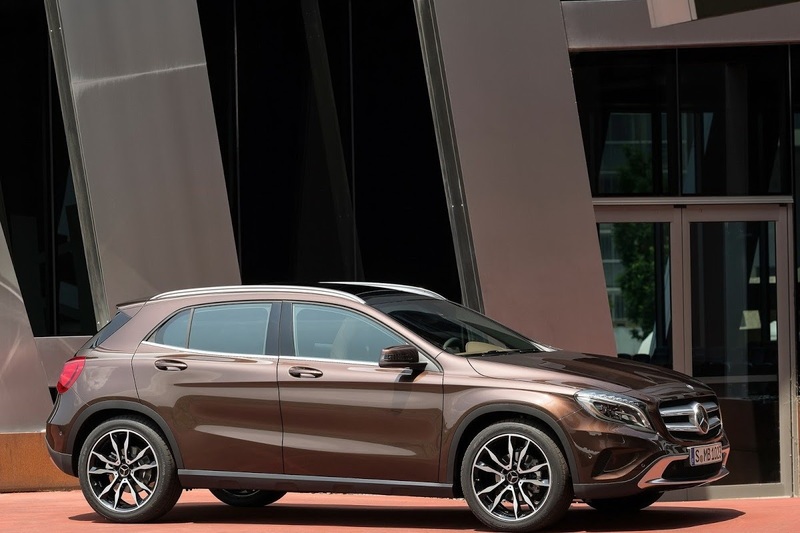 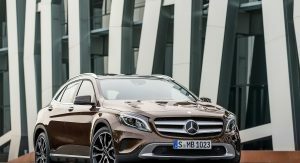 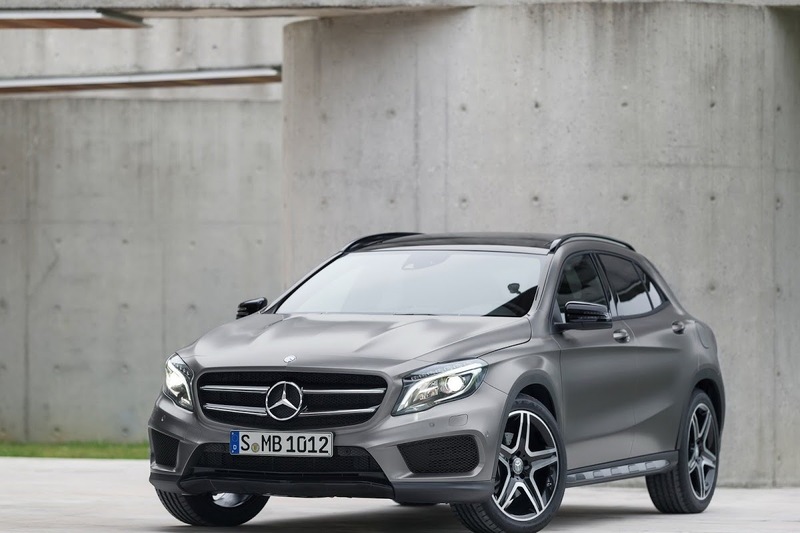 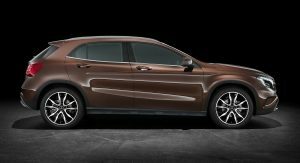 The first is the GLA 200 CDI, with an output of 135 hp, and the more powerful one is the GLA 220 CDI which pushes power up to 168 hp, as well as torque, which in this case is rated at 350 Nm (258 lb-ft). 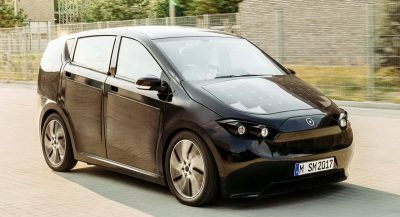 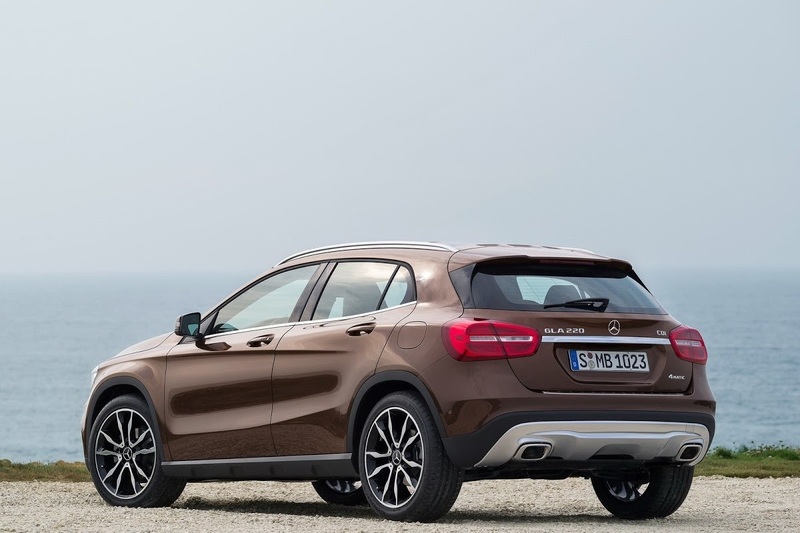 Whichever power plant you will go for, economy won’t be bad, because this is, after all, a greener alternative to the range of larger SUVs on offer from Mercedes. 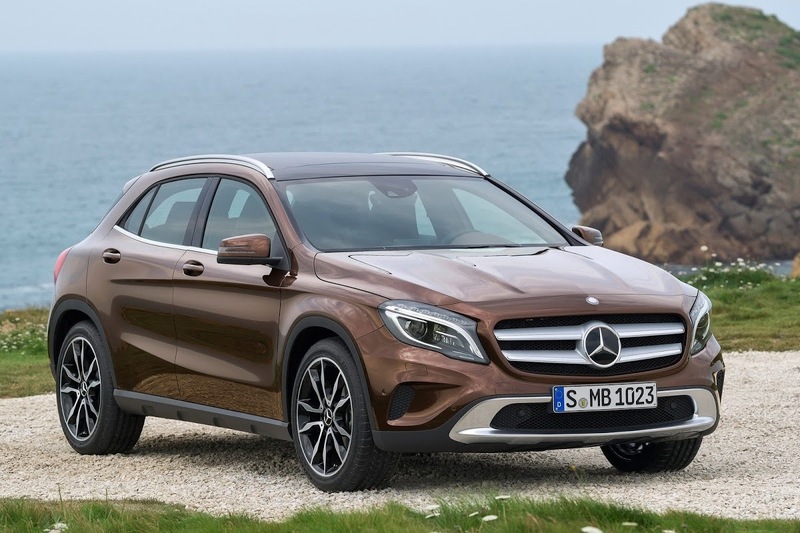 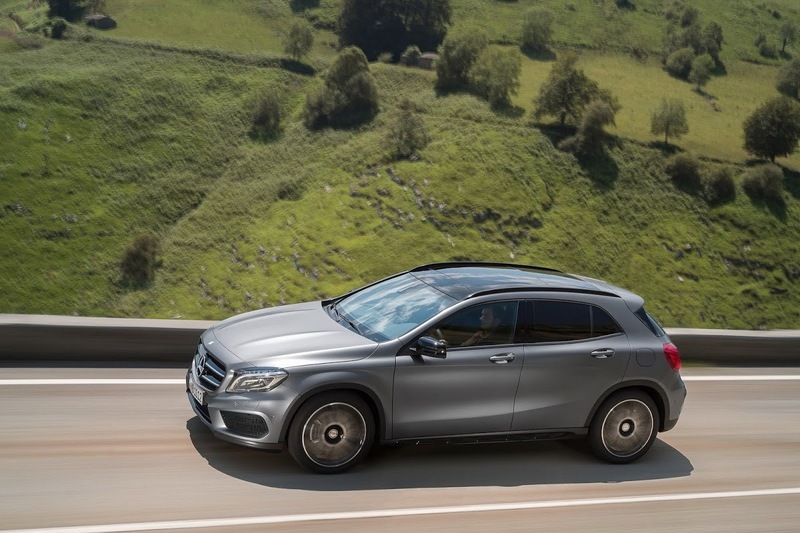 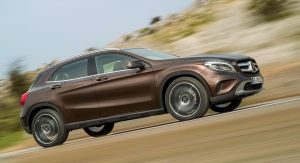 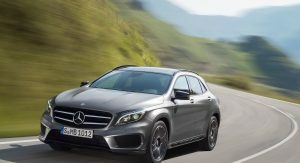 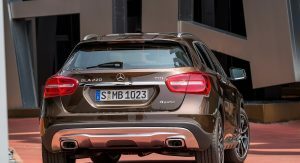 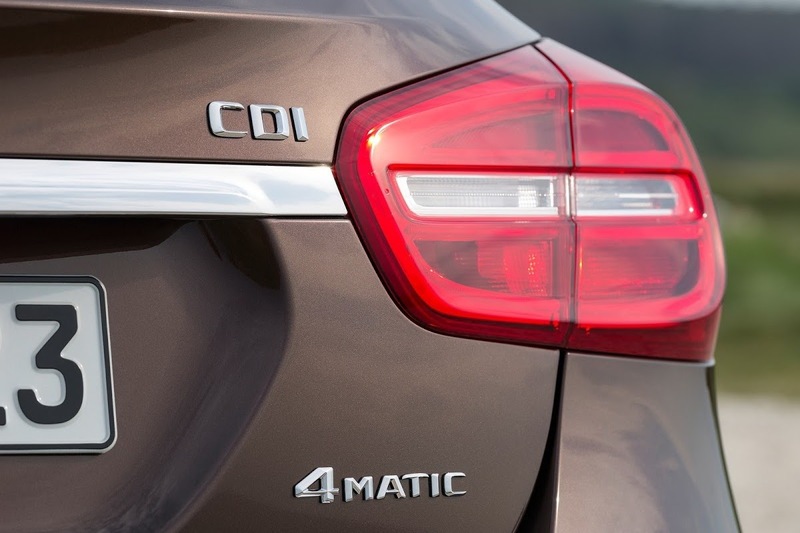 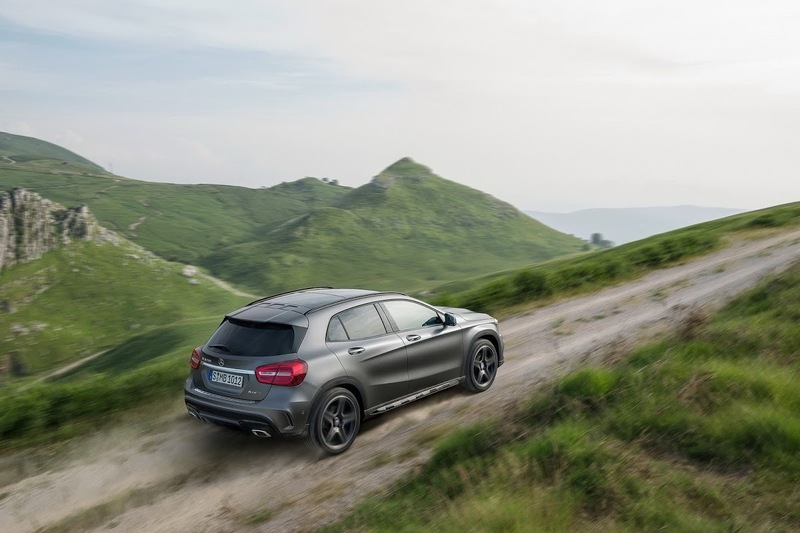 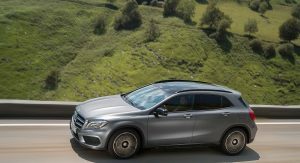 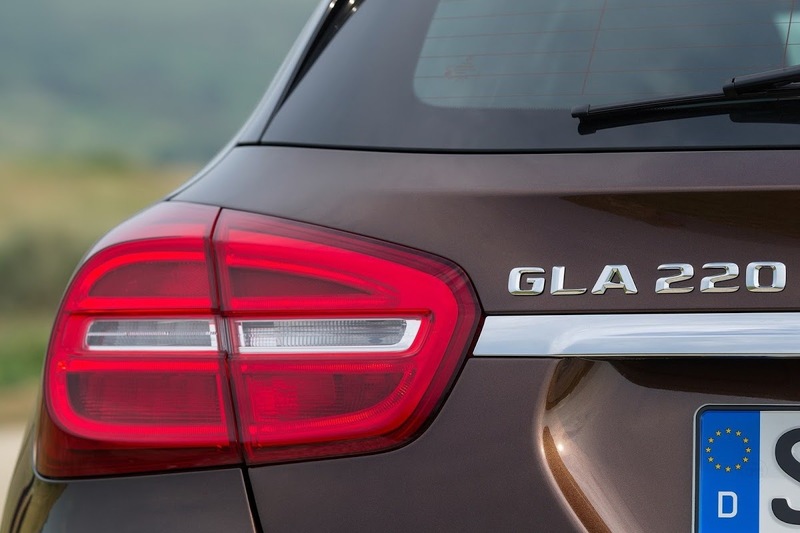 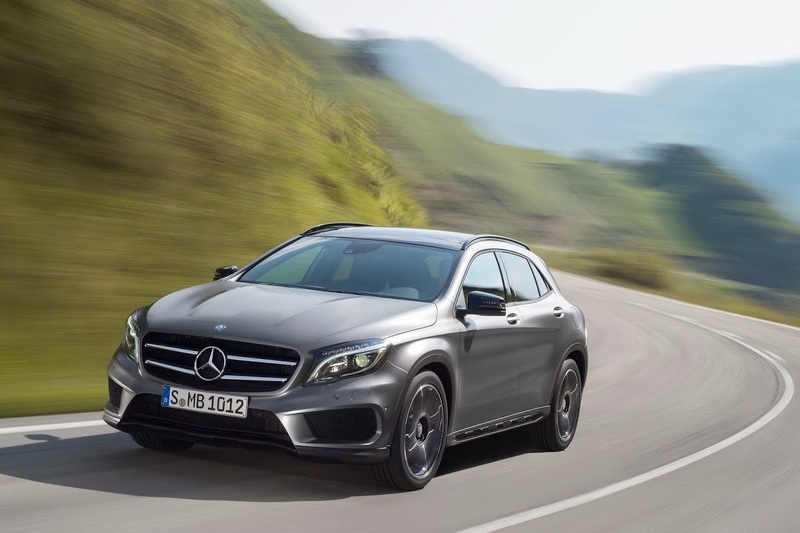 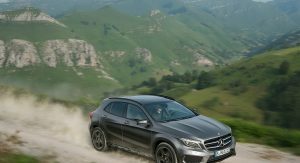 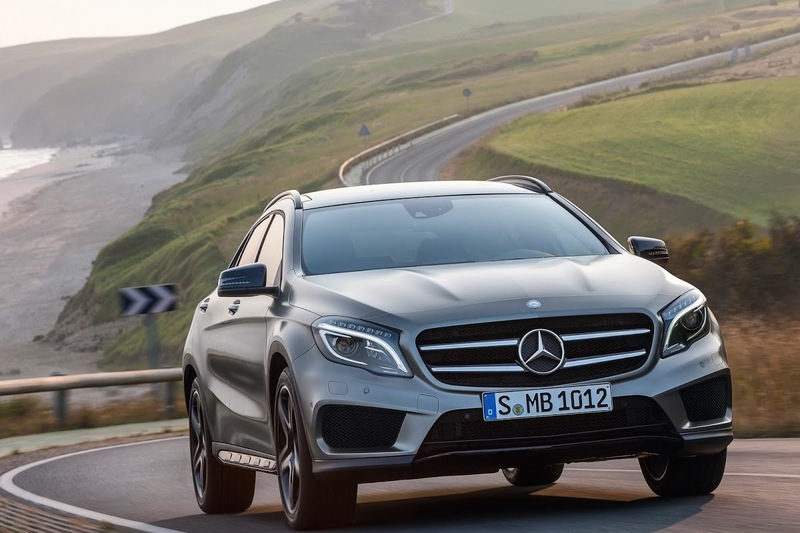 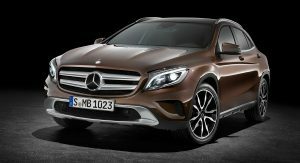 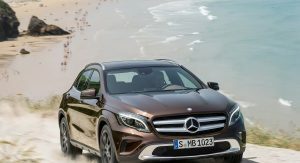 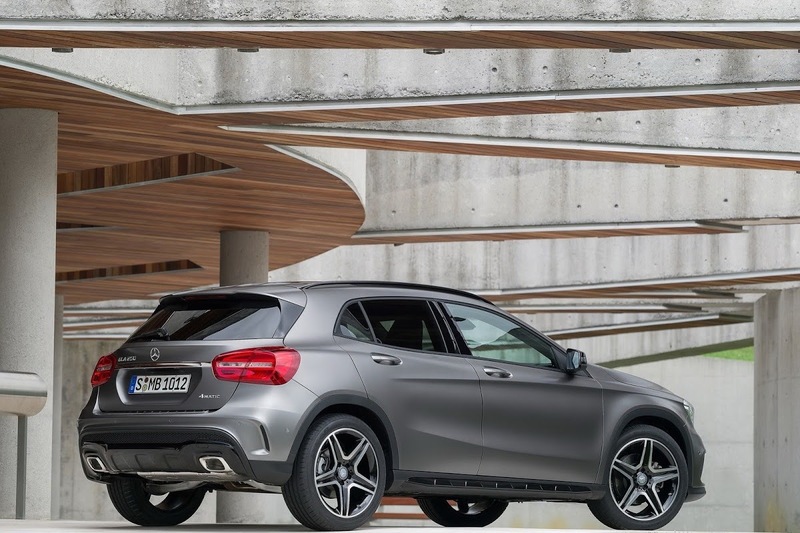 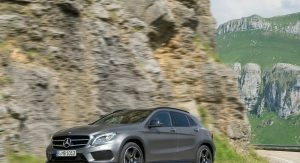 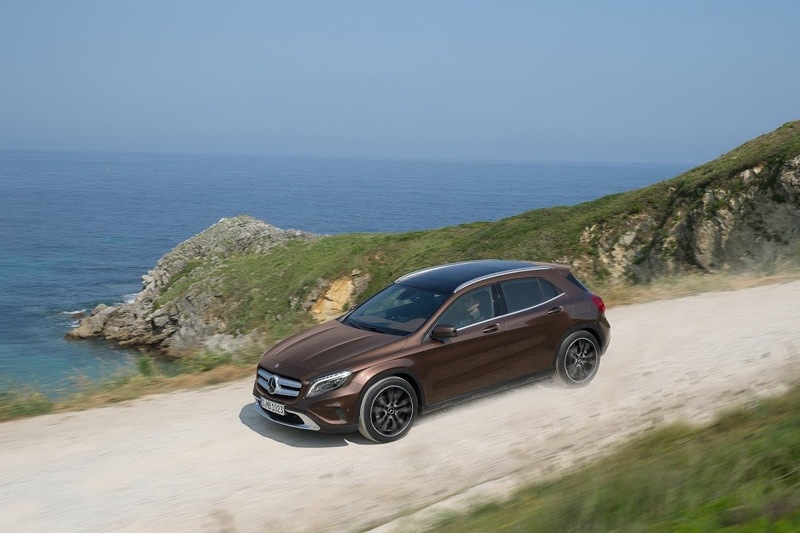 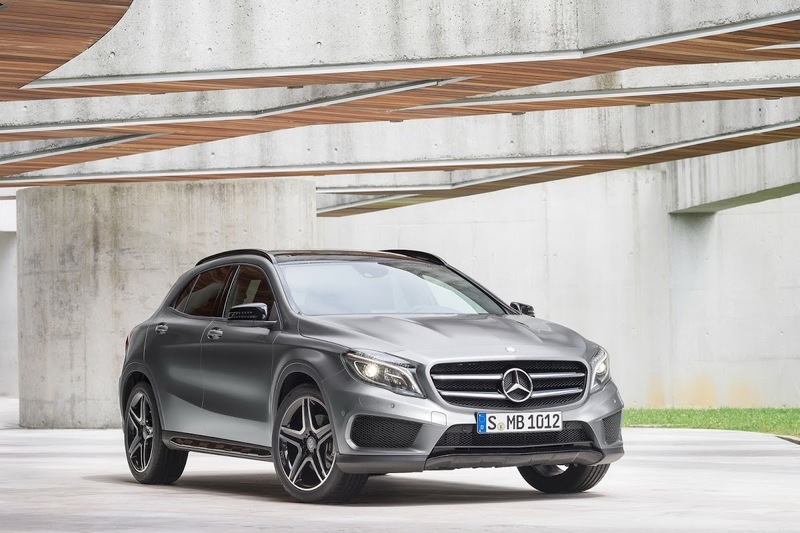 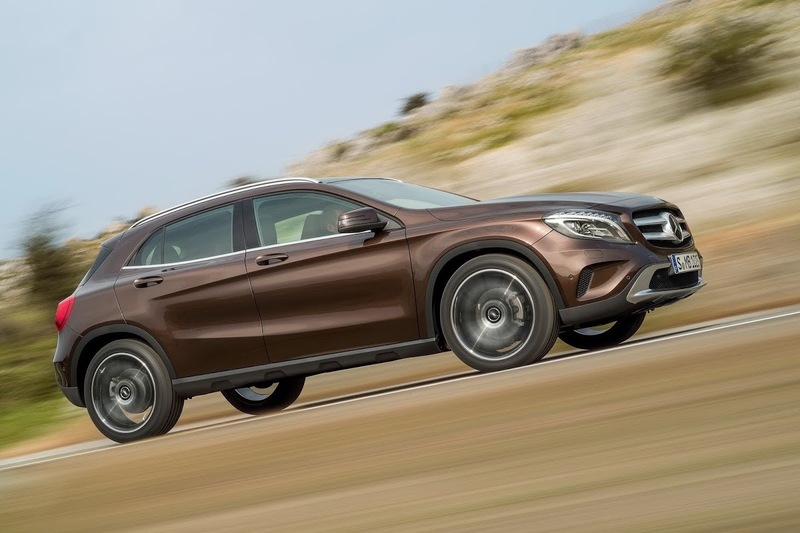 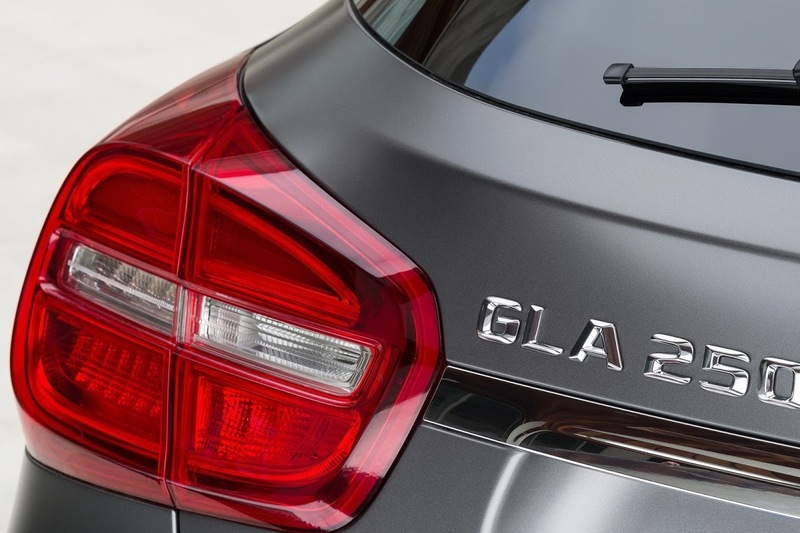 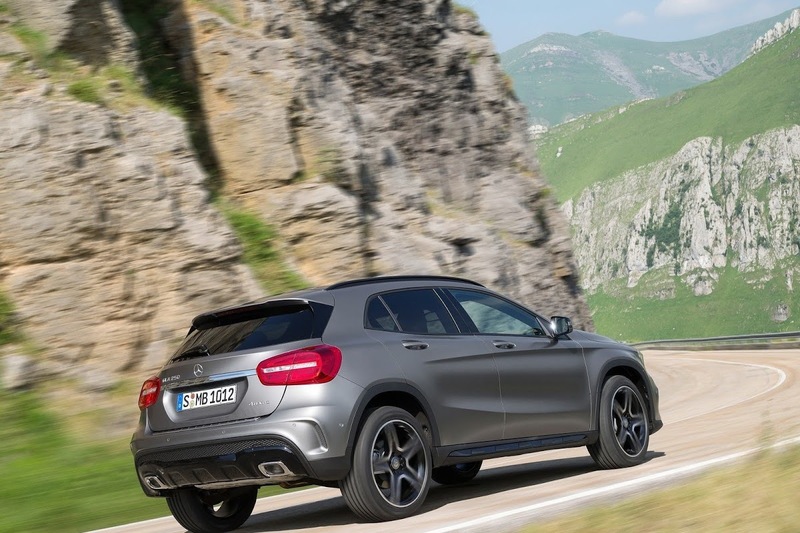 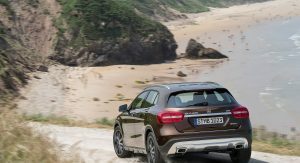 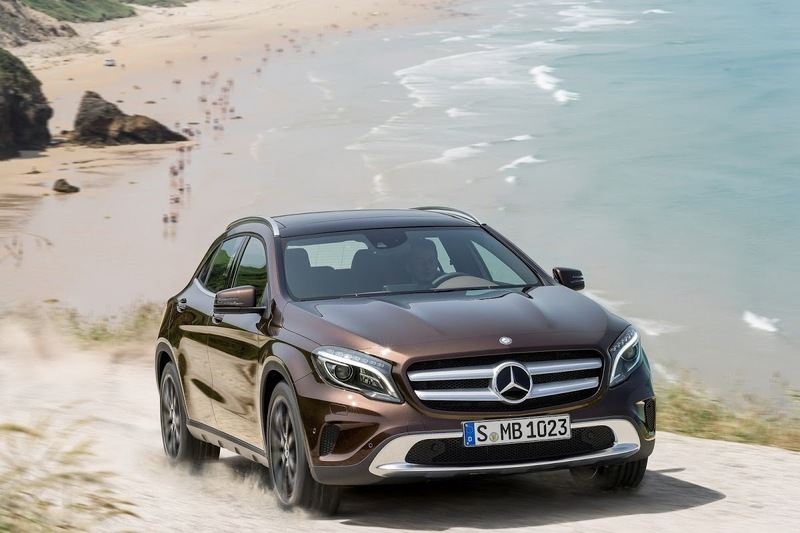 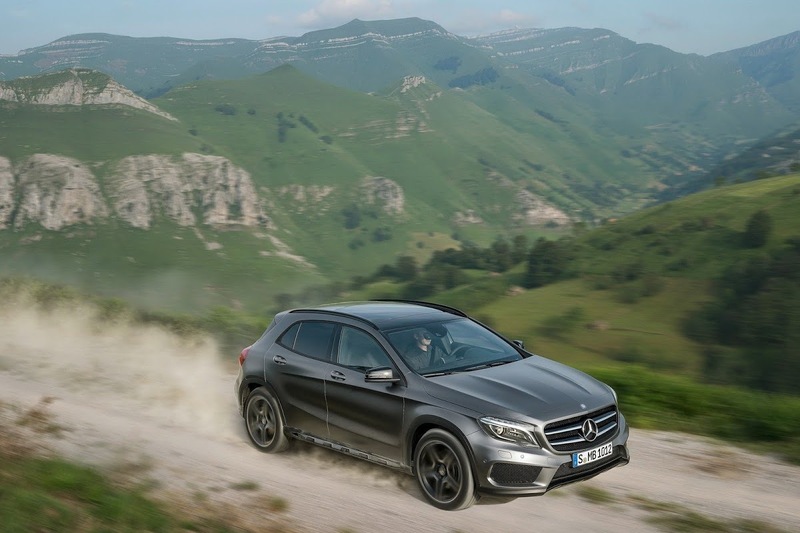 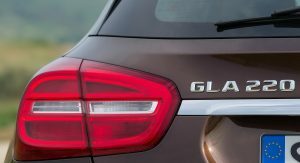 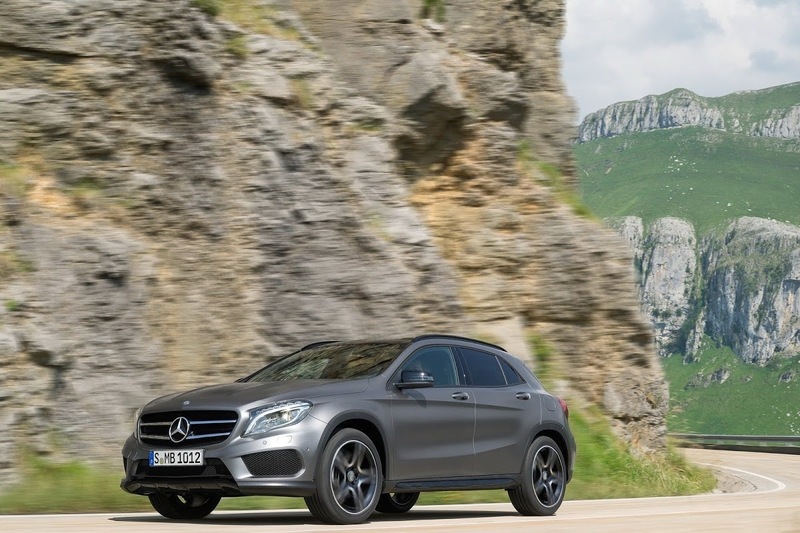 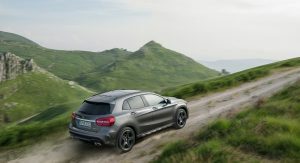 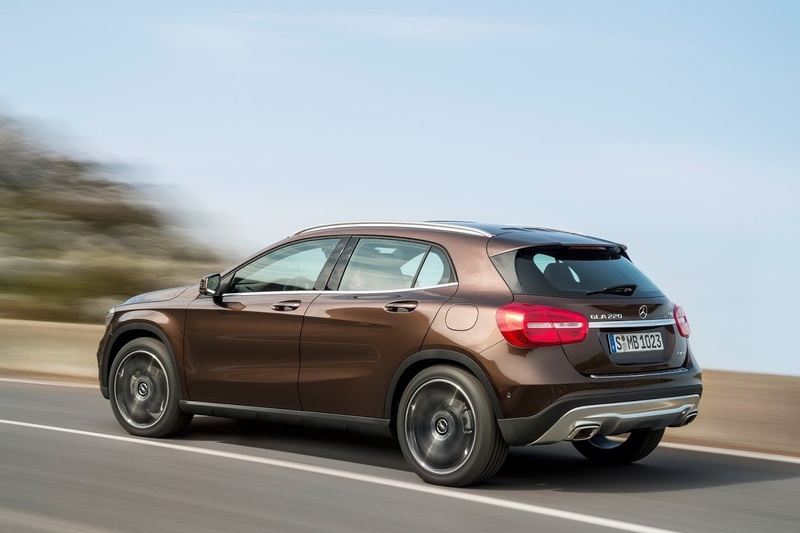 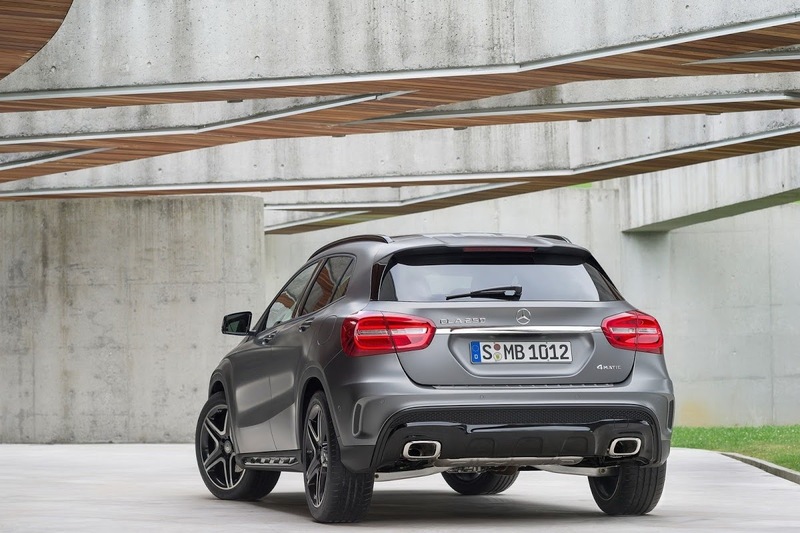 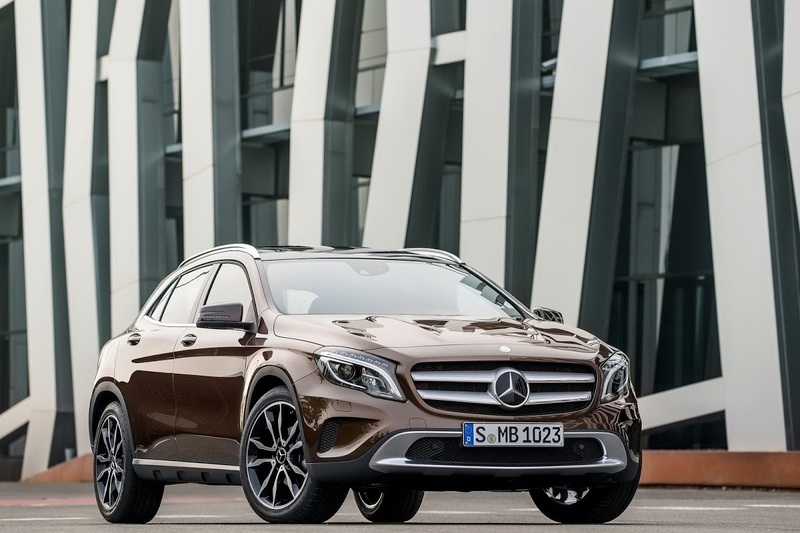 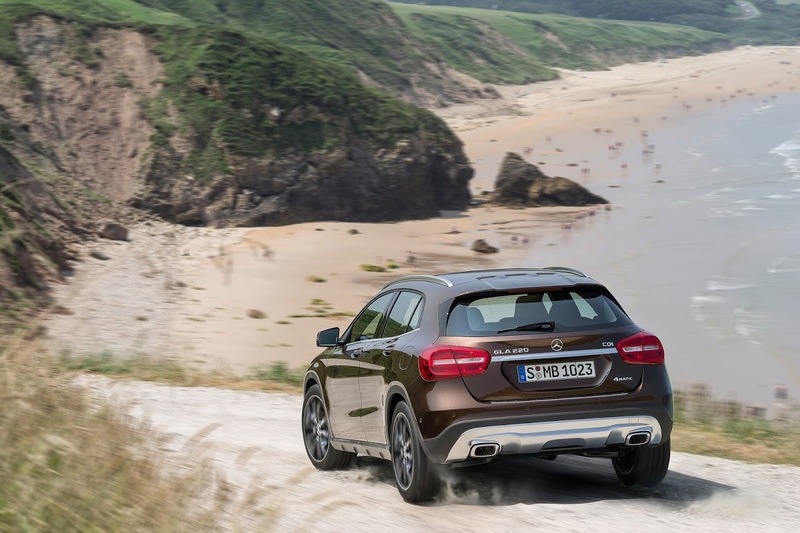 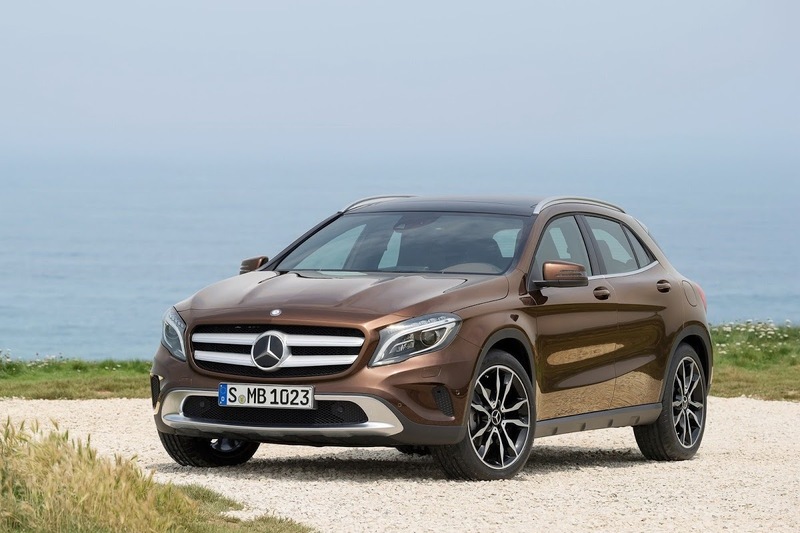 The GLA 200 CDI achieves a claimed average of 4.3 l/100km or 54.7 mpg US / 65.7 mpg UK, though the optionally-available 4MATIC permanent all-wheel drive system will dent those lab figures, and distort them even more in real-world conditions. 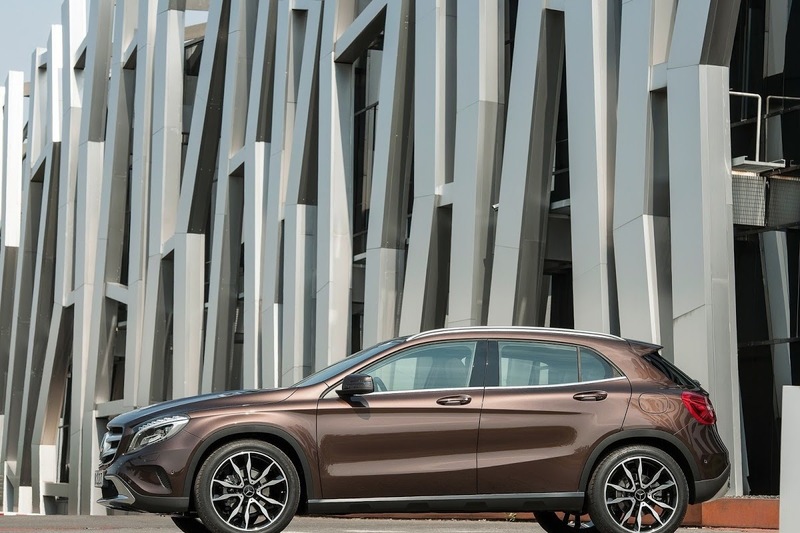 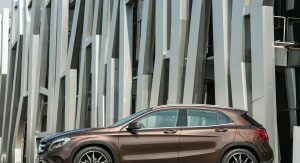 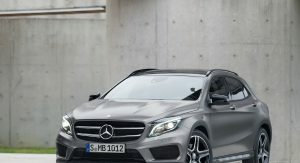 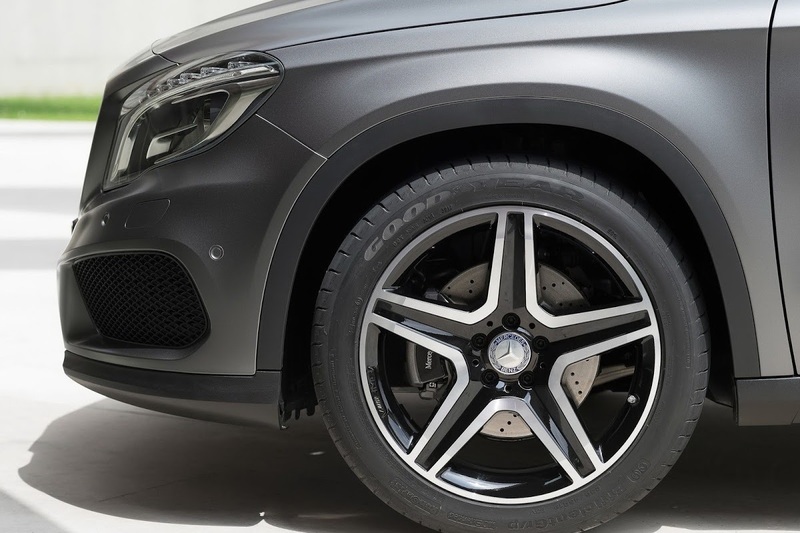 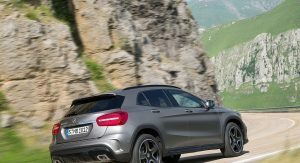 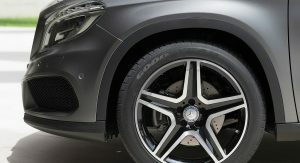 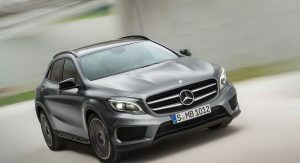 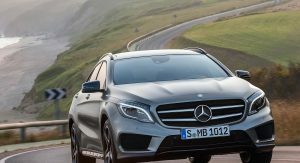 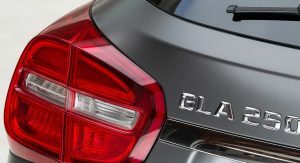 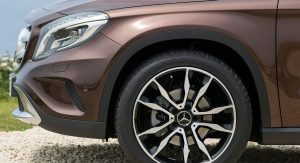 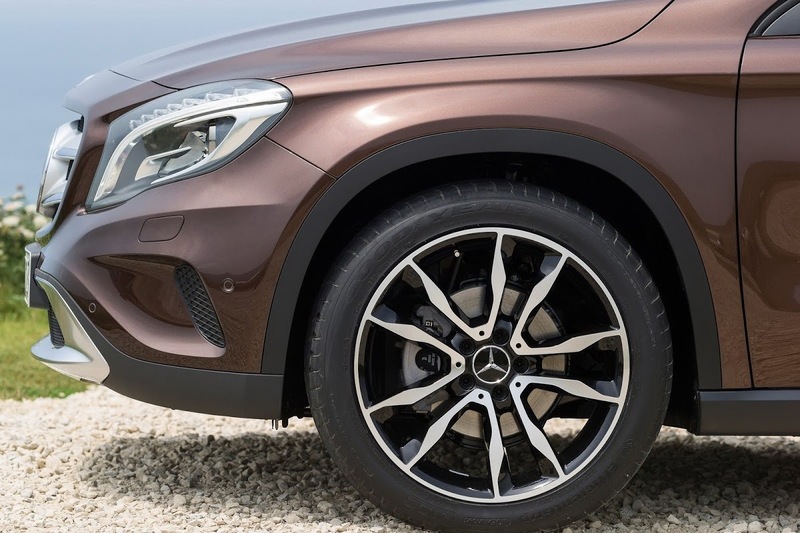 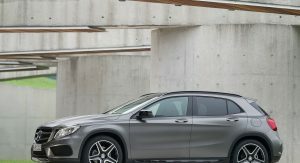 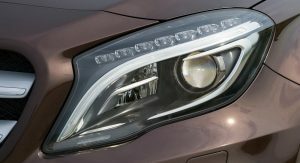 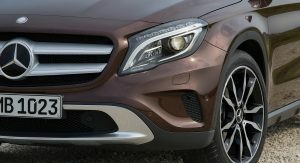 The new GLA will make its official debut at the Frankfurt motor show, the venue that will yield the first real-life photos that will hopefully show us more angles, so as to prepare us for its radical shape, before we start seeing these climbing curbs and maneuvering into tight parking spots in city centers across the world. 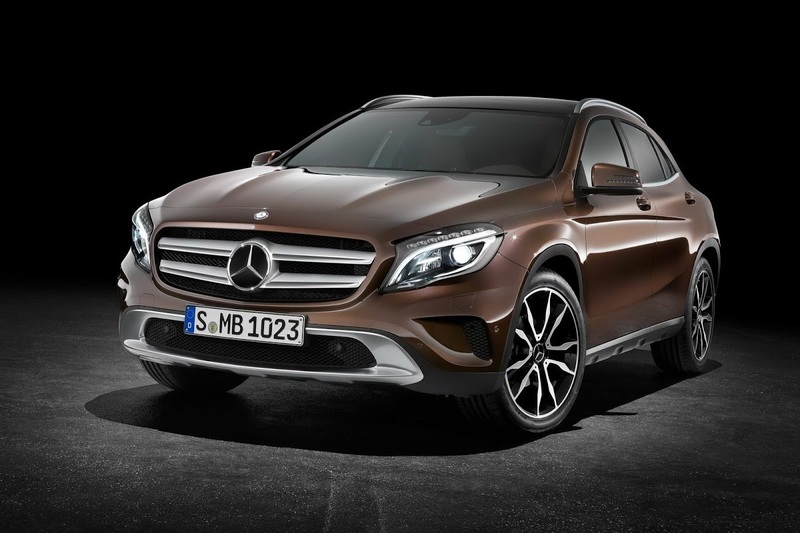 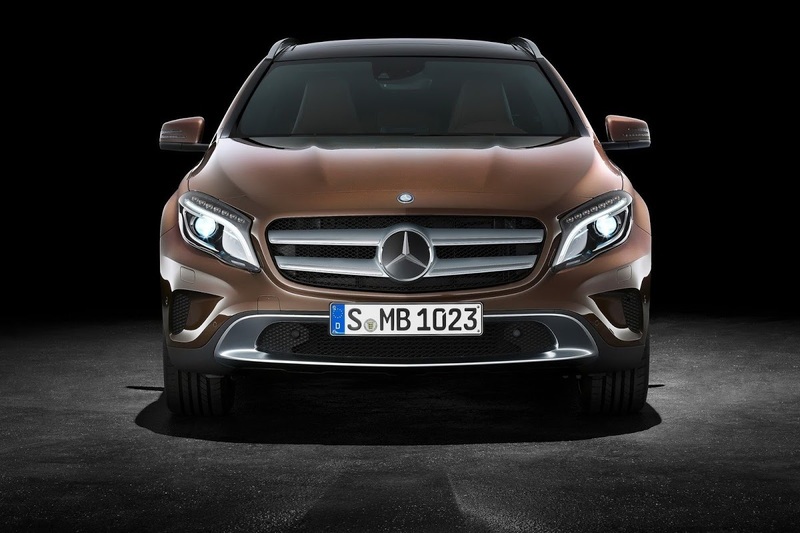 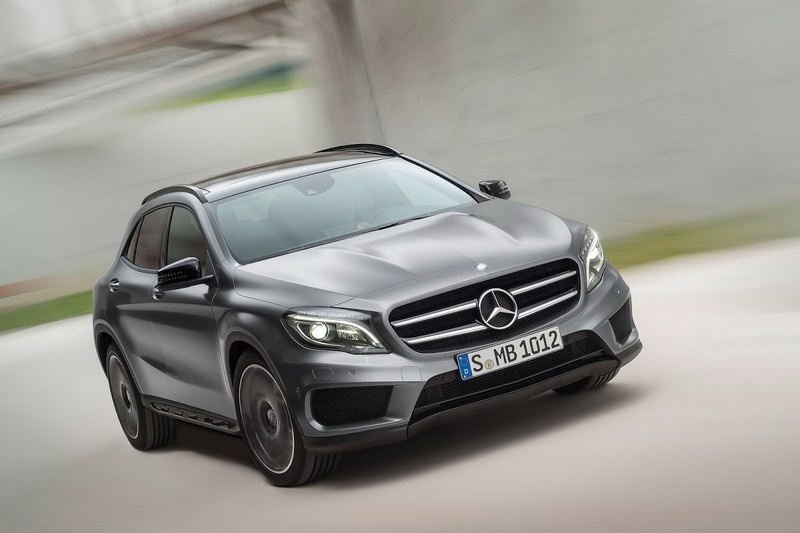 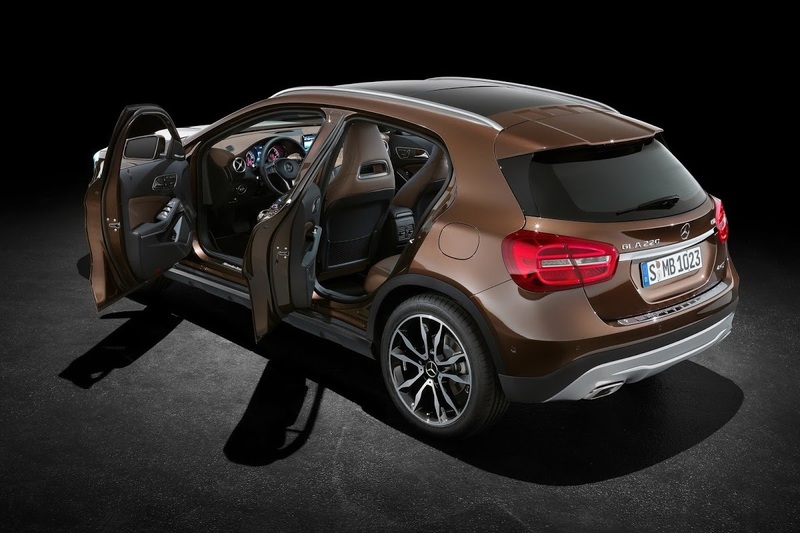 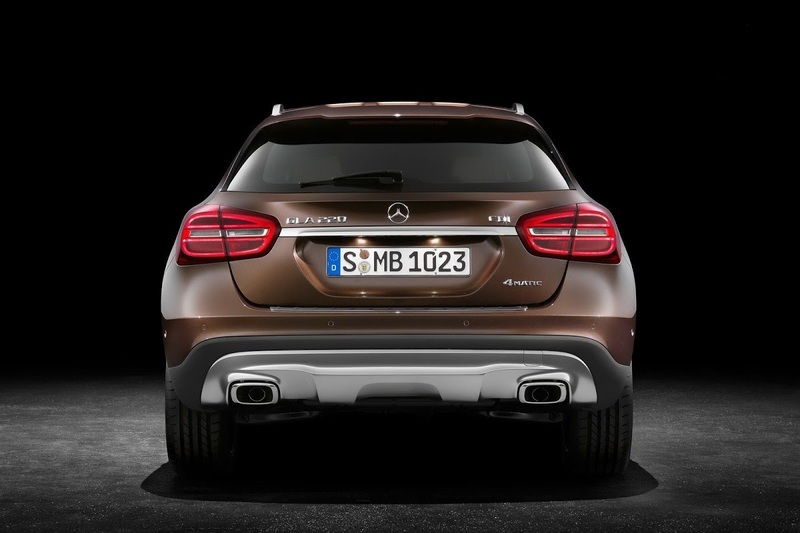 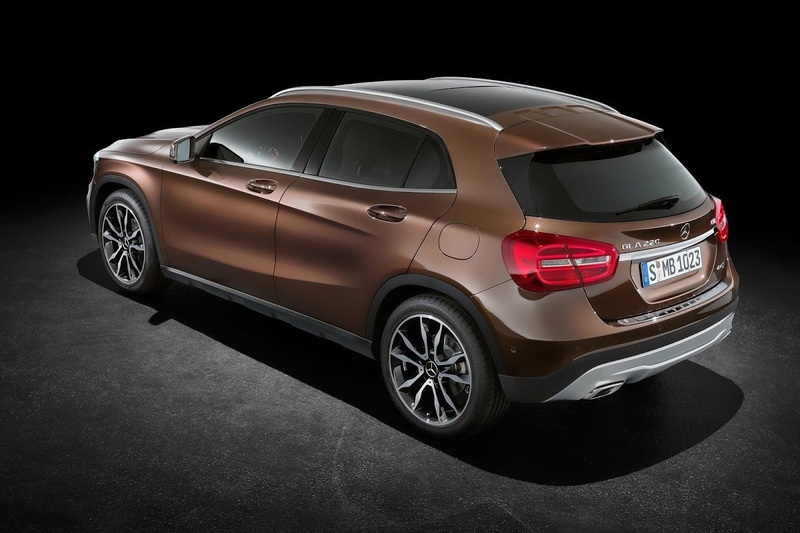 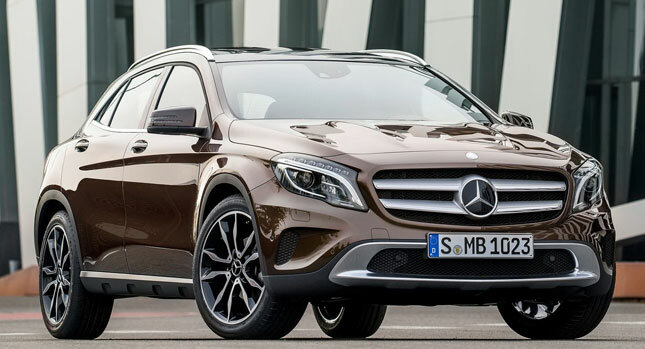 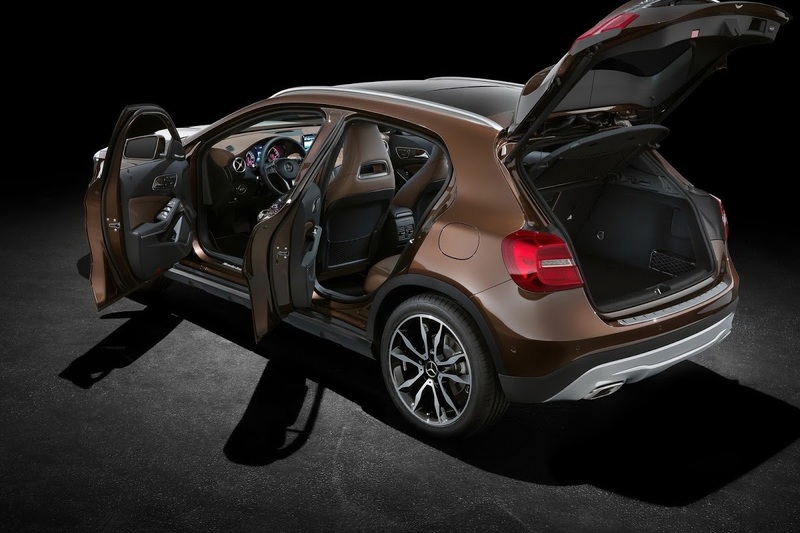 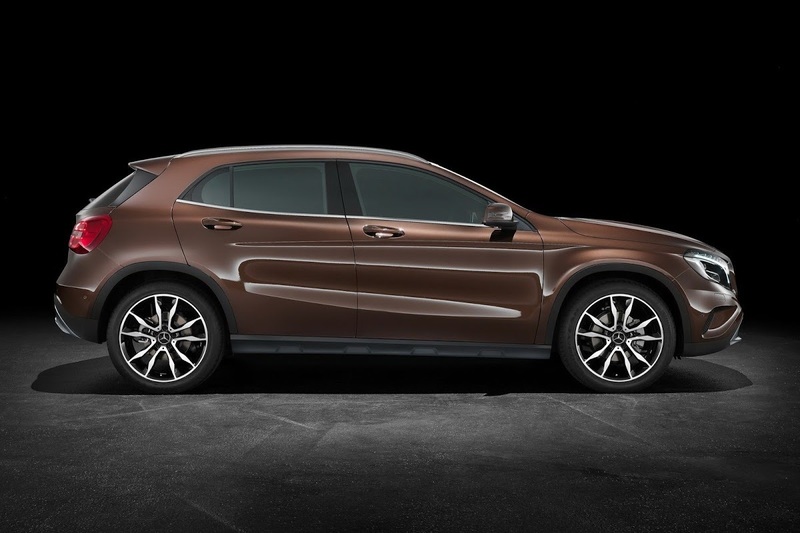 According to Mercedes, the 2015 GLA-Class will arrive in U.S. showrooms in fall of 2014.